The Sparta Train Station was a witness to arrivals and departures of people, products and activities through the years. Built in 1881, the original structure survived more than 130 years and actively participated in the growth of the area. Hearkening back to the days of the Wild West (Billy the Kid escaped prison in 1881 before being shot that same year) this eastern NJ train station was a necessary hub for products and passengers coming to this area for mining, building, and even recreation. Today the Sparta Train Station invites people of all ages to explore the history of Sparta. Now re-built, it is a state of the art building set up to enrich the lives of New Jersey residents. Through TrainCreative.org, teachers can rent the station as a classroom and students can seek out a skill that they want to learn. The Sparta Train Station is also a beautiful backdrop for many events and gatherings. Come on out and take a class or take in the sights at this historic site! Committed to preserving the past of Sparta, New Jersey as well as housing railroad artifacts from the local area. An inviting backdrop for local residents to explore and enjoy and a comfortable space for creative training experiences of the community. State-of-the-art equipment provides ample resources for teachers to share techniques with their students. William E. Dermody Jr. was a dedicated citizen of Sparta Township, NJ, and his leadership helped create many of the wonderful amenities enjoyed in the community today. While building his business and raising his family, he still found time to work in the community. He was pivotal in improvements and projects like the Sparta Public Library, the Sparta Ambulance Squad building, Knoll Heights Village and the Reverend Brown School .Whether he was raising money for the Sparta Ambulance Squad or serving as Mayor (1972-1974) he did it with the admiration and respect of the people around him. . This station dedication to Bill Jr. is intended to remind future generations of the commitment and sacrifice of those who went before us to make Sparta what it is today. Today, Bill Jr.’s legacy has been carried forward by his son and son and grandson, William E. Dermody III and William E. Dermody IV. In November 2008, the Dermody family purchased the site near Station Park from the Environmental Protection Agency. The family had the goal of revitalizing the train station, as well as other industrial buildings and a water tower on the property. The first phase was the opening in of the new Sparta Police Athletic League (PAL) building in 2012 which was once an industrial building. Once the PAL building was open, the Dermody family created a non-profit organization with the intention of restoring the train station and nearby water tower as part of the second phase of the revitalization efforts. 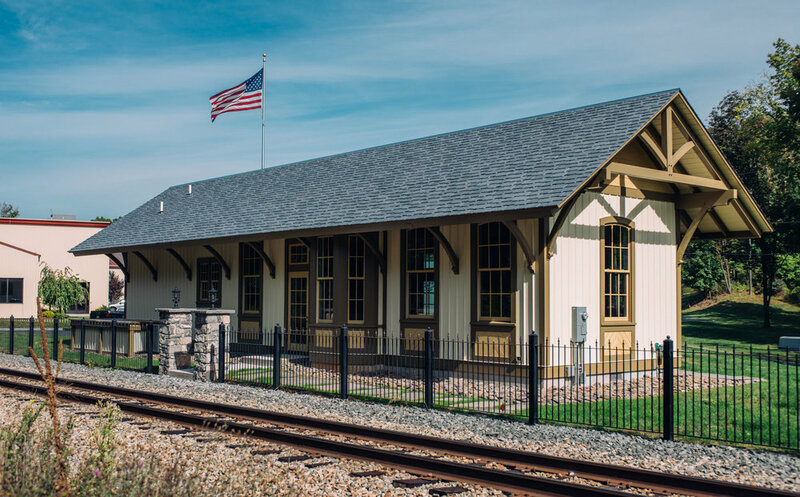 Overcoming enormous obstacles, such as the 2012 electrical fire that leveled the train station, is a testament to the Dermody family’s commitment to bettering the Sparta community and preserving properties like the Train Station for years to come. All material on this site is © 2017 by Dermody Associates, Inc., unless otherwise stated. Any reproduction, in whole or part, in any medium whatsoever, without the express written consent of Dermody Associates, Inc. is strictly prohibited.